. The "Asilomar Ramble" tour covers all sorts of natural and cultural historical tidbits of this coastal refuge. The free one hour walking tour begins in the Phoebe Apperson Hearst Social Hall at the Asilomar Conference Grounds. Friday at 9:30am and 4pm and Saturday at 9:30am. 800 Asilomar Avenue, Pacific Grove. Free event. Planet Gemini in Monterey hosts comedian Quinn Dahle and special guest Sam Bam for two hilarious nights of stand-up comedy acts. Stay afterwards for karaoke and dancing. Friday and Saturday at 8pm. 2110 Fremont Street, Monterey. $10. 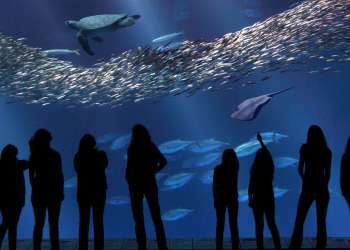 The Monterey Bay Aquarium stays up past its bedtime for Evenings by the Bay! This summer the aquarium stays open until 8pm on Saturday and Sunday nights for live music, wines by the glass and light appetizers. On Saturday guests will enjoy Caribbean jams from Dereck Smith and Sunday&apos;s event will feature live jazz from the MJF County High School All-Star Band. 6pm-8pm. 886 Cannery Row, Monterey. Free with admission. Carmel Plaza&apos;s Summer Live Music Series is back! Tonight&apos;s entertainment features live music from the IPO&apos;s and food and wine provided by Patisserie Boissiere and Estancia Winery for $15. 5pm-7pm. Ocean Avenue and Mission Street. Carmel-by-the-Sea. Free event. 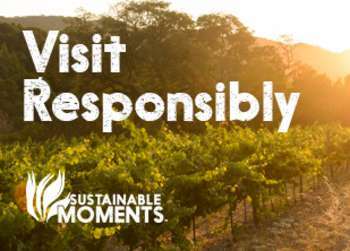 Bask in Carmel Valley&apos;s sunshine at Earthbound Farms and learn how farmers use bugs to defend against pests and aid in pollination. Kids can even release ladybugs into the organic garden and take home a special goodie bag. 11am-12pm. 7250 Carmel Valley Road, Carmel. $5 per child, free for adults. California Roots is at it again with a one-day Roots Reggae Celebration! The Summer Mix up: Back to The Roots features Don Carlos, Israel Vibrations, Yellowman, Mike Love and Stranger at the Monterey County Fair & Events Center. 1pm-10pm. 2004 Fairgrounds Road, Monterey. $35. Kuckaw stops by Fernwood Tavern in Big Sur for a night full of funk inspired jams. 10pm. 47200 Highway One, Big Sur. Free event. Relax under the Big Sur redwoods tonight and listen to an audio story at the magical Henry Miller Library. Bring a blanket and enjoy the sounds of "The Truth." 8pm. 48603 Highway One, Big Sur. Donations welcome.